A rash of recent devastating incidents, including fatalities, has rekindled the need for a stronger safety culture, especially in laboratories. According to a recent OSHA publication, there are more than 500,000 workers employed in laboratories in the United States.2 As lab managers, we know that lab workers are potentially exposed to myriad hazards: chemical, biological, physical, radioactive, and other types. In addition, repetitive tasks of production labs and high-volume analytical labs, as well as the challenges of handling research animals, can also lead to musculoskeletal disorders. For our lab employees to perform their tasks in a safe manner, they need to understand the potential hazards associated with the work. The ability to accurately identify and assess these lab hazards must be learned through training and encouraged by all levels of management. This is the core of developing a strong culture of safety. Two graduate students conducting research on explosive compounds were synthesizing and testing a new compound, a nickel hydrazine perchlorate derivative. The CSB found that although initially the compound was made in small batches of 300 milligrams, the students decided to scale up the production to 10 grams to make one batch of material for all their testing. During manipulation of the material by the senior team member, the material detonated. The student was severely injured, losing three fingers of his left hand, suffering a perforation of his eye, and sustaining cuts and burns to the rest of his body. The biochemistry lab conducting research on anaerobic bacteria initially purged the chamber with nitrogen and then introduced small amounts of pure hydrogen to remove any remaining oxygen by combining to form water. Apparently, the lab’s student researchers inadvertently left open the valve for the hydrogen cylinder. When the hydrogen reached an explosive level, it was ignited by a source in the chamber, according to investigators. Four researchers were injured and the lab was destroyed. Almost everyone has heard about this incident at UCLA. An experienced research associate was planning to upscale a reaction using tertbutyllithium (t-BuLi), a pyrophoric material. For reasons unknown, she was wearing only nitrile gloves, safety glasses, and street clothes, including a synthetic sweater. No lab coat was used. The syringe and plunger separated during the filling of the syringe and the t-BuLi and pentane spilled onto her hands and sweater, which immediately burst into flames. She sustained third-degree burns on her hands and second-degree burns on her arms and abdomen, covering about 40% of her body. After 18 days in a specialized burn center, her organs began to fail and she succumbed to her injuries. The investigation reports following these incidents found a few common issues. One was that there was no formal system for communicating, training, and documenting the specifics of the primary task. Another was a lack of or weak auditing by the lab managers/principal investigators to verify standard operating procedure compliance, personal protective equipment training, and the use of incident reviews. These reports and studies by the National Academy of Sciences, National Research Council, ACS, CSB, and others point to a strong need to develop a culture of safety consciousness, accountability, organization, and education in industrial, governmental, and academic laboratories. OSHA research has found that a strong safety culture is the best approach to accident and injury prevention and noted that organizations that have strong safety cultures also show fewer at-risk behaviors and have lower accident rates, employee turnover, and absenteeism, as well as higher productivity. The ACS Task Force provides 17 succinct recommendations for creating a better safety culture. Though focused on academia, they can apply across the board. We do not have the space to discuss each one here, but we will highlight those we feel are most important. To build a strong culture of safety, you must start at the top. As the NRC states, commitment is paramount and must be demonstrated at the very top of the organization. Strong and committed leadership ensures an effective safety program that is embraced by all. Safety as a priority will then flow through managers to supervisors and end with the individuals. Safety thus becomes the priority. Developing strong safety attitudes and awareness is a long-term process. Continually teaching and highlighting safe practices and emphasizing their importance will build a deep, positive attitude and ethic in employees. Drawing attention to at-risk behavior and recognizing or rewarding safe behavior will encourage positive and safe habits. Safety training is intimately tied to building awareness. Laboratories are unique and complex workplaces. Some level of training will always be needed. Do not settle for doing the minimum required by current regulations. Strive to make training interesting, innovative, and interactive. Keep up with new technologies and update all training regularly. When we take a few moments to think about it, it is evident that most of what we know has been learned from mistakes and incidents. Perform detailed and immediate investigations and follow-up for all accidents, close calls, and near misses. Use the information gathered for case studies and lessons learned. You will find these scenarios capture employee interest and force them to think about improving safety procedures to prevent future incidents. Involvement promotes a strong safety culture by reaching and immersing as many employees as possible. Establish safety committees and keep them active. Involve a large representative cross-section of the organization’s management and workers. Use the meetings to develop and revise safety procedures and policies. But keep it positive, interactive, and if possible, entertaining. A robust safety culture needs constant promotion. The best promotion is by example. This loops back to developing positive attitudes, as promoting safe work practices goes hand in hand with having a good attitude and exercising safe behavior. Encourage all employees to advocate for and recognize safe actions. Communicate successes and (especially) failures openly. Give thought to publishing newsletters or bulletins. Conduct open case study and close-call discussions. Just keep the “work safe” and “safety first” messages out there. In the nearly 130 years since, we have definitely progressed. Yet we cannot be satisfied or become complacent. There is still work to be done. 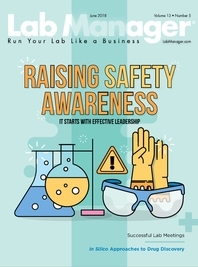 Hopefully, this shallow dive into laboratory safety culture will inspire you to pick up the torch and continue to move us all forward. Safety first!